Even though the weather wasn’t exactly fall-like today, I have been craving fall foods like soups and stews and casseroles. I really wanted to make potato soup for supper. Well, what I really, really wanted was to have a space-age kitchen in which I could push random buttons and my “order” would pop out just like in the cartoons. But alas, it was not meant to be. So I cooked it myself. And it was as wonderful as I knew it would be! 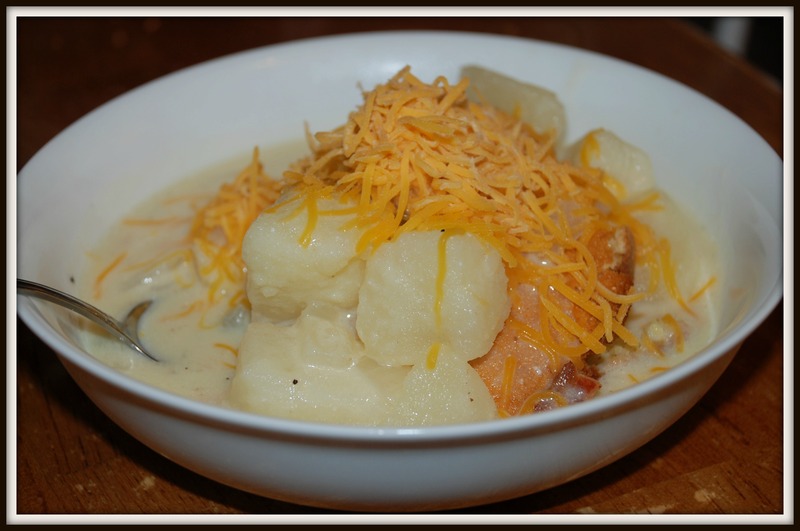 I decided that I would rub it in share the recipe with you, so that you can have the deliciousness for yourself! I adapted this from a recipe that I found in one of my Momma’s cookbooks a LOOOOOONG time ago. Like, when my babies were really babies. I’ve made this lots of times for lots of people and no one has ever complained about it! 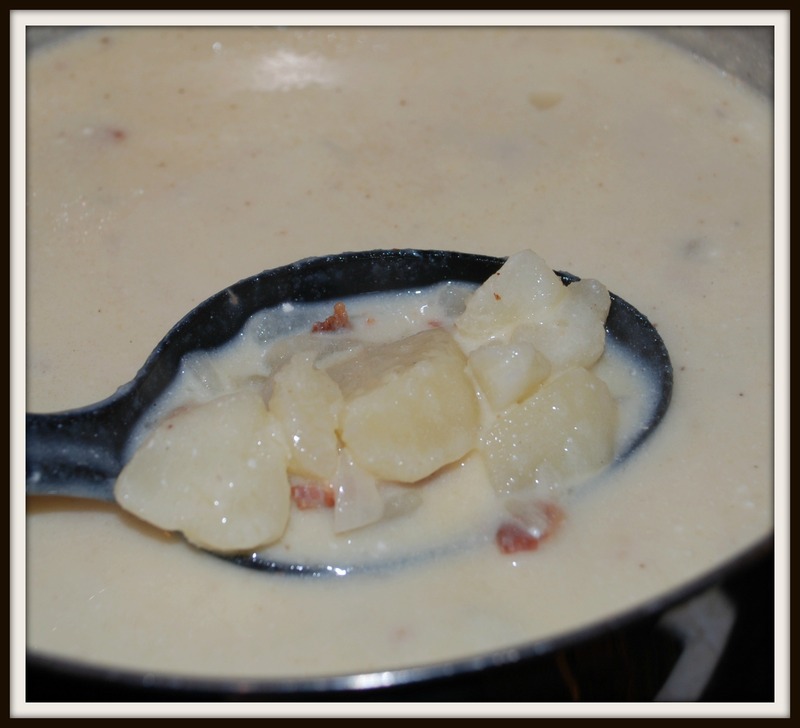 The ingredients are: Potatoes, onion, bacon, water, cream of chicken, milk, sour cream, salt, and pepper. (Don’t worry–I’m also posting in recipe format.) The original recipe called for parsley, but I rarely have fresh and dried parsley will give your soup a greenish cast. Just trust me on this. First, peel your potatoes. I use a vegetable peeler. That has to be one of the best kitchen tips I could ever give anyone! You can peel them with a knife, but I find that so time-consuming. And dangerous to my fingers. (Again, just trust me.) 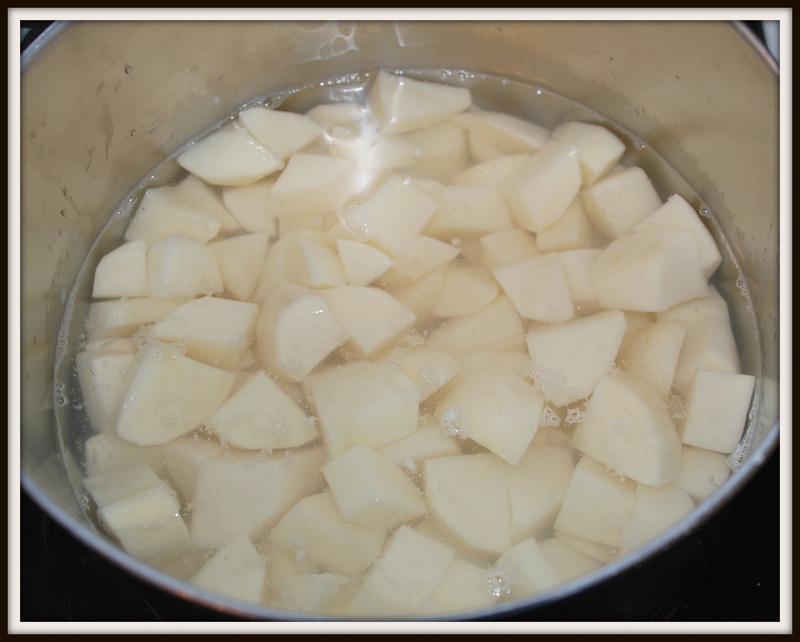 The original recipe called for 2 cups of cubed potatoes, but I generally use eight medium potatoes (add extra if they are smaller). *Note to self: Sharpen knives. 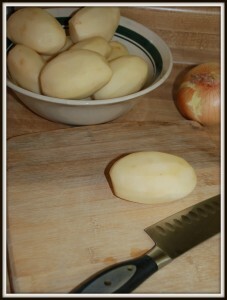 I had to change knives three times before I found one that would cut the potatoes! Dice/cut/cube the potatoes. If my husband were home, he would cut them into small, precise cubes and proceed to lecture me as to why they should be uniform in size. I think my Momma told him that once. Or maybe it was somebody on television. At any rate, he goes with it. However you like them, just chop them up! Chop the onion too while you’re at it. Put the potatoes into a pot and put in enough water to just cover the top of the potatoes. Bring to a boil, cover, and turn down to a simmer for 15 minutes or until tender. 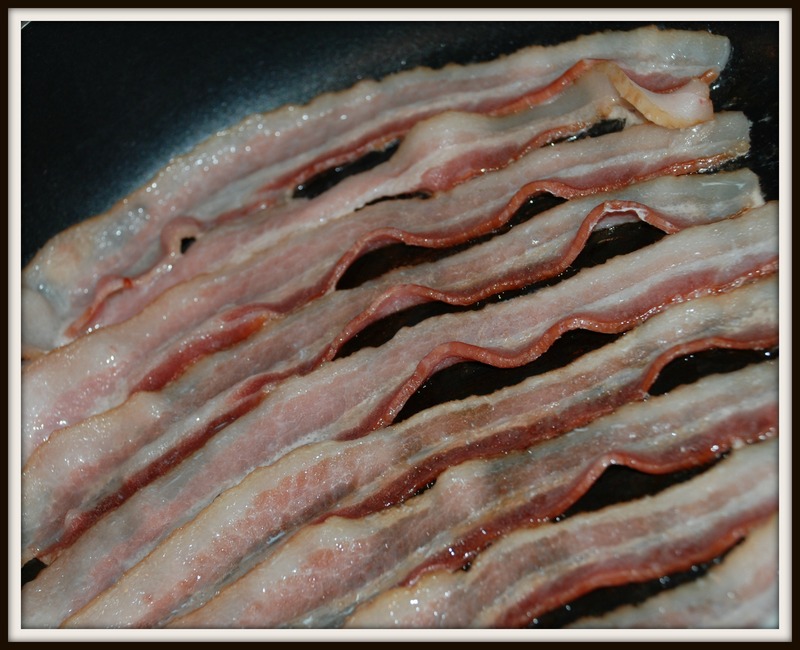 In the meantime, you need to fry a pound of bacon. 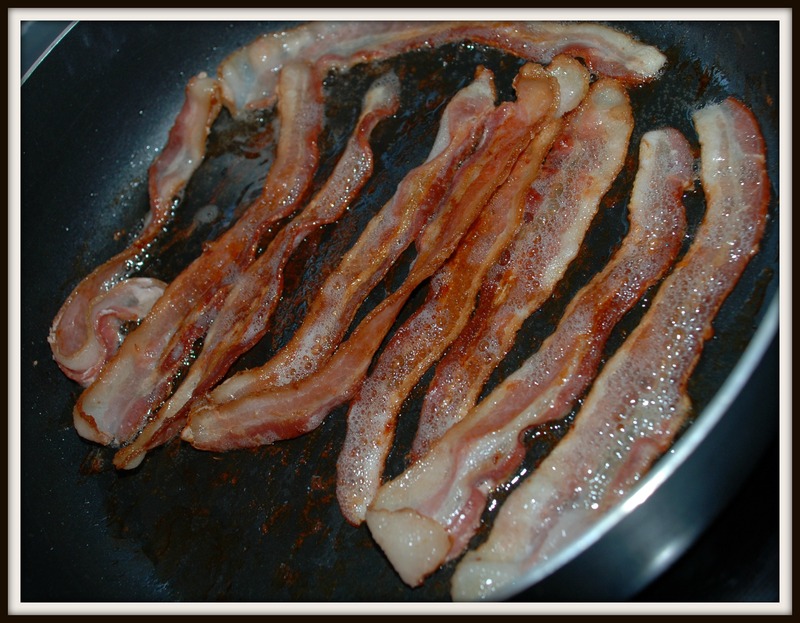 When your bacon is finished and you have finally moved it somewhere out of your reach, throw those chopped onions into the grease and saute for a few minutes…just until they start to look translucent. If I am making this early in the day, I usually drain the grease off of the onions. If I’m in a hurry (which is most days), I use a slotted spoon to get them out of the pan and just let them drain for a second before I throw them into the pot with the potatoes. 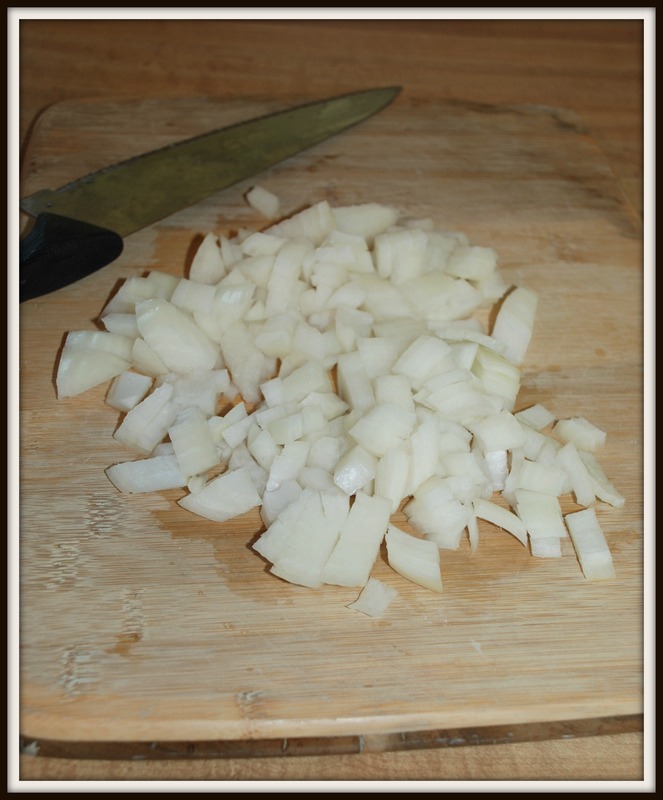 It doesn’t really matter if your potatoes are boiling or simmering or what stage they are in, just throw those onions in there! When the potatoes are tender, add cream of chicken soup, sour cream, and bacon. Then add milk and salt and pepper to taste. You can try parsley if you want it, but like I said the dried kind will turn it green. Which might be a great idea for Saint Patrick’s Day…hmmmm. I like to serve mine with sweet cornbread. I generally use Jiffy brand. I tried to make my own a couple of times but it just wasn’t the same. You can eat yours with crackers if you want. It tastes good regardless! I also like cheddar cheese on my potato soup. Other cheeses are good too, but on something like this, cheddar is better! So wonderful! It absolutely hit the spot. Now you try it and let me know what you think! Fry bacon, remove to plate to drain. Cube potatoes, cover with water and cook on med/high heat until boiling. 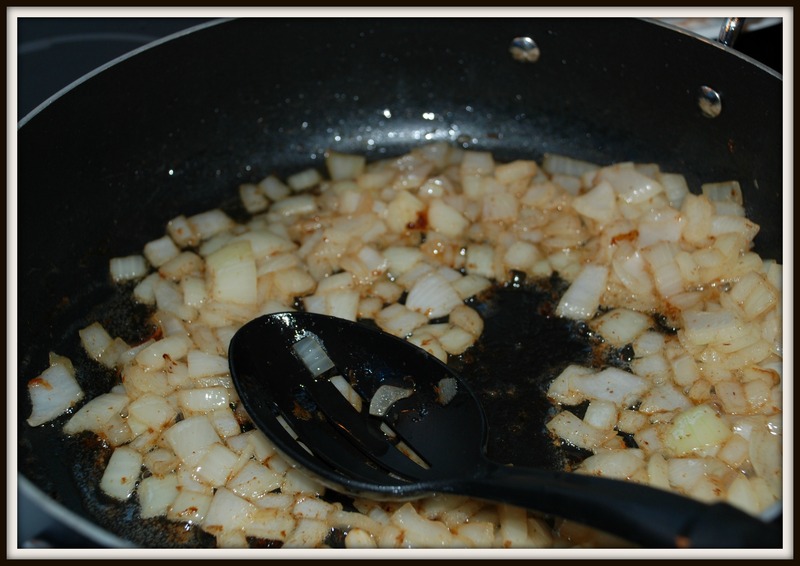 Saute onions in bacon grease until translucent and add to potatoes. Once potatoes begin to boil, cover, lower heat, and simmer for 15 minutes or until tender. 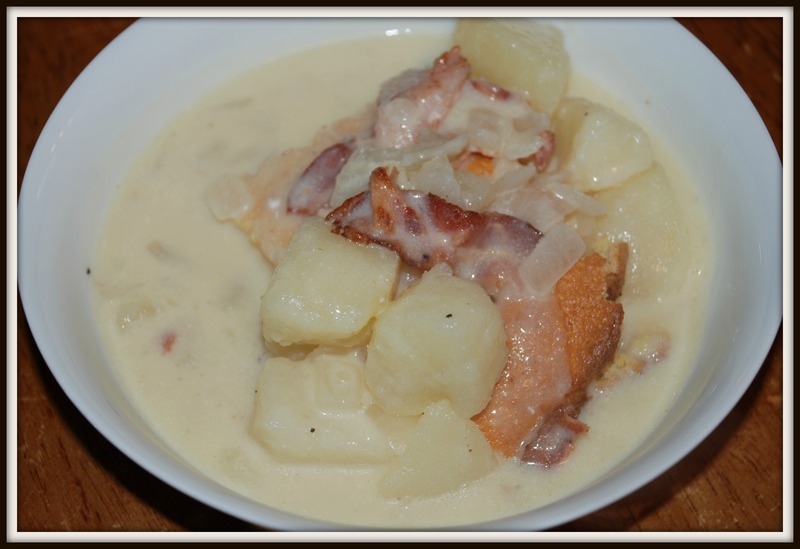 Stir in cream of chicken soup, sour cream, and crumbled bacon. Heat to serving temperature–do not let boil. Garnish with cheddar cheese and sweet cornbread. My husband made this bacon potato soup and it was delicious. So glad you enjoyed it. It’s definitely a favorite in my family! YES! This looks incredible! I will FOR SURE be making this recipe this fall! Hope you love it! If you like sweet cornbread, it goes REALLY well with it!!! I love your potato soup. It is so amazing. You are very talented and I love you so!!!!!! I love you too, you stinker!! I would cook for you, but you never come over!! Maybe we need to have a party?? 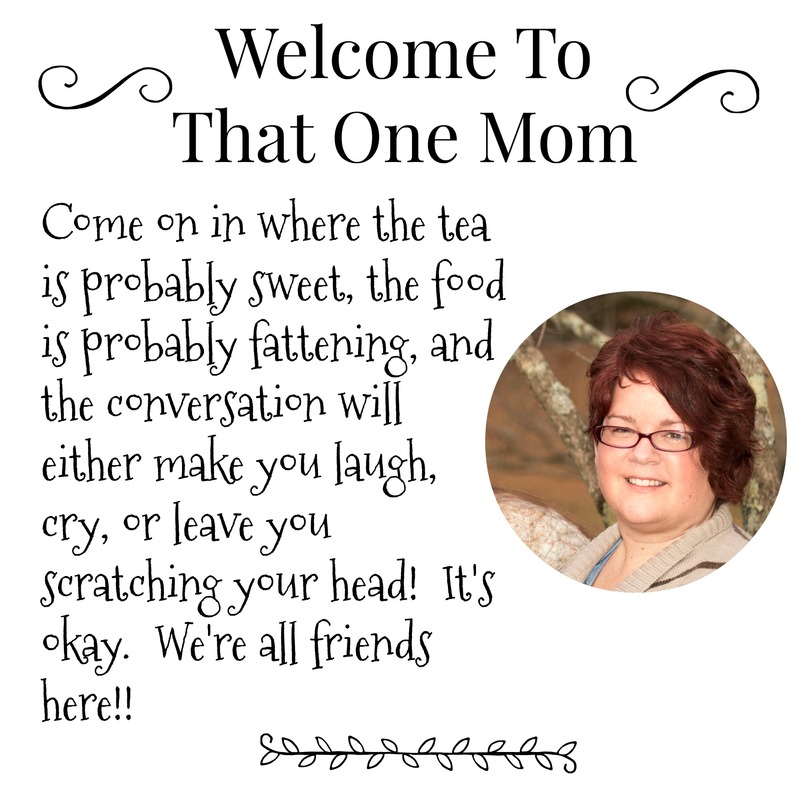 And you are definitely, like, one of my favorite daughter’s friends…Even though you are obsessed with things and you stalk Lauren Holly.